Forget Google vs. Microsoft. Or MySpace vs. Facebook. The real action these days is NBC Universal vs. Apple. The latest verbal volleys — and these are doozies — come from Jeff Zucker, NBC Universal’s president and chief executive officer. Zucker, who was interviewed by the New Yorker’s Ken Auletta at a benefit for Syracuse University’s Newhouse School (Variety report), is obviously still pissed at Apple and its CEO, Steve Jobs. At the root of the school-girl spat is NBC’s insistence that Apple increase the price of the TV shows it sells on iTunes, from $1.99 to $2.99. Jobs has stubbornly resisted, insisting on uniform pricing for music (99 cents) and TV downloads. This disagreement has led Zucker to pull NBC U content off iTunes by the end of the year. For the most part, the Zucker-Jobs rift has been civil, with both sparring friendly and respecting each other’s position while publicly disagreeing. Now, as they say, the gloves are off. 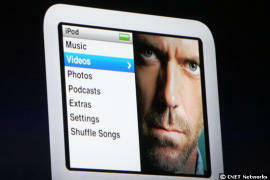 Zucker contends that Apple has “destroyed the music business” and must be stopped before he does the same to video. So, like the brat Big Media has become, NBC U picked up its content and stormed out of the room in a huff. We’ll show you! It seems like eons ago when Zucker proudly rode the iTunes bandwagon, saying in December of 2005 that he was quite enthusiastic to get more of NBC’s shows onto iTunes as a part of the company’s “overall digital strategy.” A year later, NBC credited Apple and iTunes for saving the hit show “The Office” from cancellation, and it’s believed that other NBC shows have benefitted from iTunes exposure. Zucker’s tune has certainly changed. And it isn’t a pretty one.